A delightful new addition to our range of French bedroom furniture comes this antique French 4 drawer chest, handcarved from mahogany. 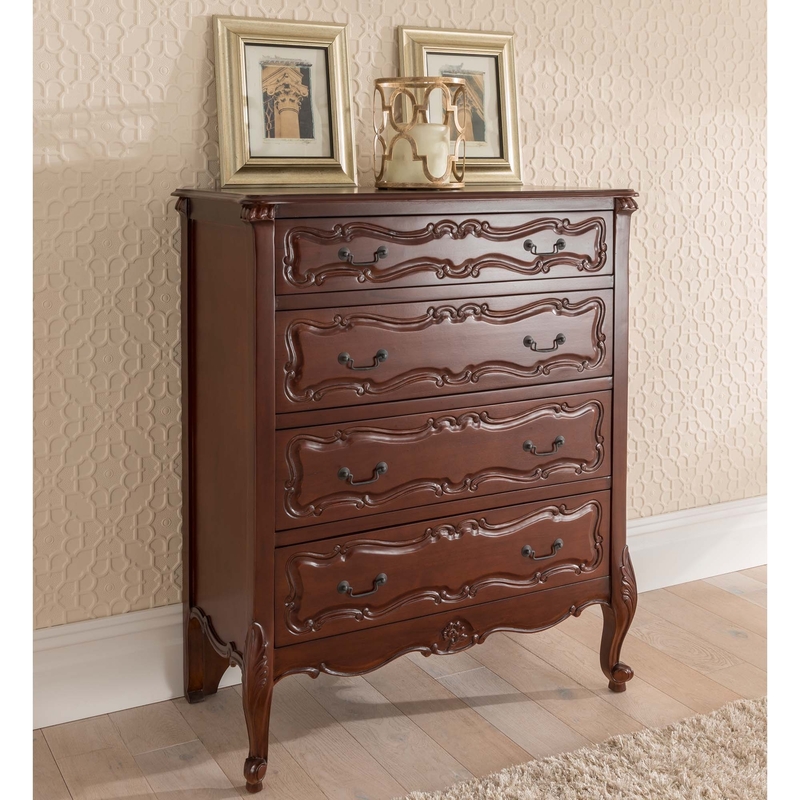 Soft curves and delicate carving are the features of the stunning Raphael range, as this furniture range is the ultimate in 'boudoir elegance'. Inspired from the 18th century where elegance and luxury were the order of the day, this item is sure to impress, particularly working well with our fantastic shabby chic furniture. W 100cm x D 50cm x H 121cm.